Sorb-IT™ Drain and IV Sponges are a lower-cost alternative. Pre-cut notch conforms well around drains, catheters, chest tubes, IVs and tracheostomies. Sterile. Virtually lint-free. 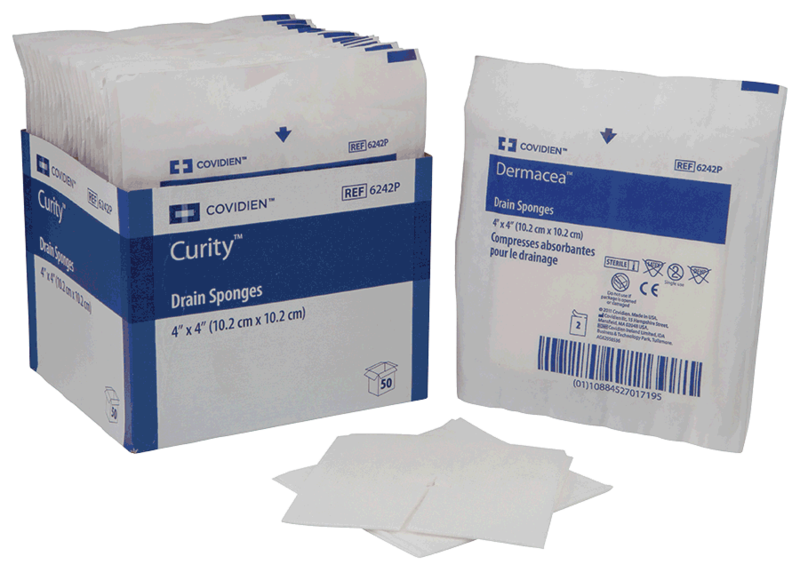 Kendall Sorb-IT™ Drain and IV Sponges are sterile. Eliminates the need for sterile scissors, conserves nursing time. Tracheostomy Dressing with LevaFiber 4" x 4"